A new cumulative update has been released for final RTM build of Windows 10 Version 1607 Build 14393, also known as Windows 10 Anniversary Update. The Cumulative Update KB3176927 brings the build number of Windows 10 Anniversary Update to 14393.5. The minor build revision is expected to keep climbing ahead of general availability on August 2nd, 2016. The KB3176927 Cumulative Update is available for both PC and Mobile. This Cumulative Update includes a handful of fixes, which incorporates and supersedes all changes in Cumulative Update KB3176925, as they’re ‘cumulative’ after all. Improved reliability and performance of Microsoft Edge with AdBlock and LastPass extensions enabled. These extensions should continue to work after installing other extension updates from the Store. Fixed an issue causing battery to drain due to runaway CPU processes while a device is idle. Fixed a battery life issue due to the proximity sensor always running on some devices. Fixed an issue where the Korean IME would not have the correct composition on some custom TSF3 edit controls on PC. Fixed an issue where you might not be able to type in text into Search or some Store apps without having to restart the process. If you have installed Windows 10 Build 14393, and are still set to receive Windows Insider Preview builds in the Fast Ring, go to the Settings> app -> Update & security -> Check for updates to get the latest patches for your system. You can also download the update .cab file from Microsoft’s server, and install the .cab Windows Update files manually. 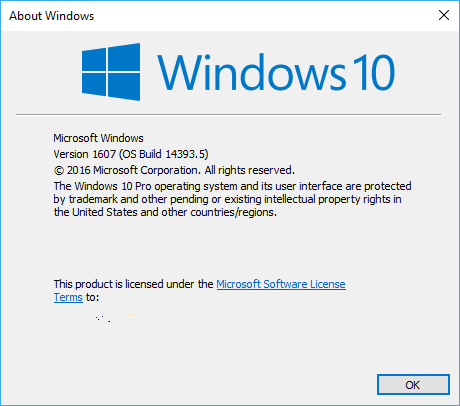 KB3176925 is available as Windows10.0-KB3176927-x86.cab for 32-bit version and Windows10.0-KB3176927-x64.cab for 64-bit version.